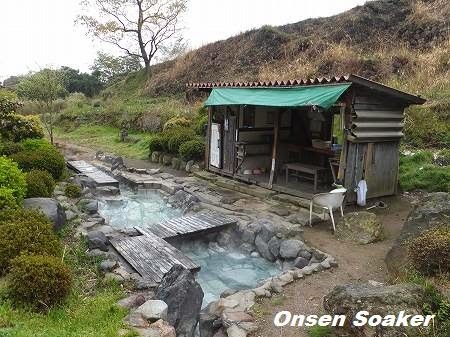 onsen soaker: Tsurunoyu, Beppu City, Oita Pref. 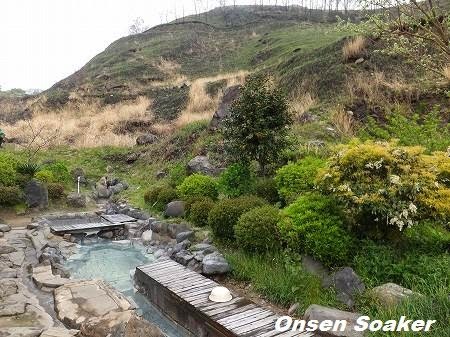 Most frequently asked and yet difficult to answer is “What is your most favorite onsen?” Well, my recent answer is "Beppu Onsen", Oita Prefecture in Kyushu. Actually, Beppu is huge area with roughly eight hot springs zones; Beppu, Kan’nawa, Myoban, Shibaseki, Kamegawa, Horita, Hamawaki, and Kankaiji. There are hundreds of soaking places of various types. Tsurunoyu, one of my favorites located in a Myoban Onsen area, is a hidden gem. It's a noncommercial (free) mixed open-air bath. It’s well-kept and recommendable for those without vehicles, as you can reach with about 20 minutes walk from bus stop. There is a wooden shack, you can change and leave your stuff inside. Left part with white door is for women. It’s a kind of wild hot springs and when I first visited there nearly 10 years ago, it was a primitive site. 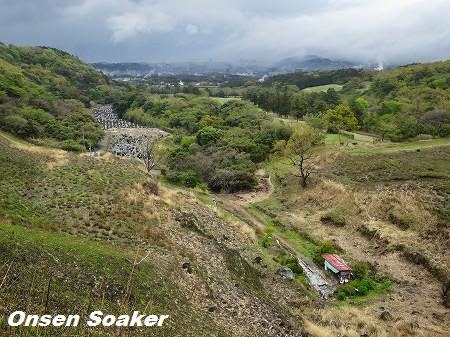 In recent years, it became more and more organized and looks like a commercially run onsen, especially after someone put stones on the bottom of the soaking pond. Managed by volunteers. Don't leave garbages. Hot spring is rather hot around 43-45 degrees C, not recommendable for visiting in midsummer. 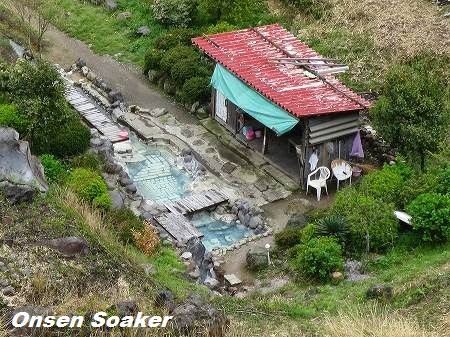 The sulfur smell of the hot spring is very strong, it remains on your skin for hours after soaking. There is no rule for clothing. But if Japanese soakers are there, they might not welcome soakers in swim-suites (Because it’s an onsen bath for us and a bath is for soaking in your birthday-suites). But usually and hopefully they don’t complain about women’s clothing. Although I always go there alone, I can’t recommend solo woman to visit. A woman in late 20’s was killed nearby in 2009. It gets crowded on weekends. In the winter, sometimes water level gets too low to soak. Access: take a bus toward Myoban Onsen from Beppu Station. Get off the bus @ Myoban Clinic, then walk backward a little and turn right toward inland at the first corner. Walk straight passing under the expressway, then the graveyard on your left to the end of the road. It takes about 20 minutes from the bus stop. If you drive to the site, leave the dead end space to make a turn when you park (notice written in Japanese).